Enjoy the great outdoors in one of the great movie palaces, at the Wild & Scenic Film Festival on Earth Day (Sunday, April 22). Celebrate the Earth’s beauty, the challenges facing our planet and the work communities are doing to protect the environment. This is the largest environmental film festival held in the US. 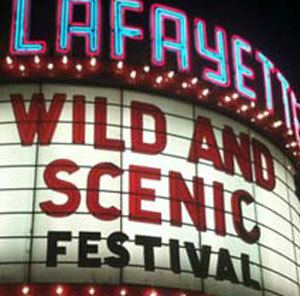 After the festival launches in Nevada City, California, it tours the country and is presented annually at the historic Lafayette Theatre in Suffern. Once again, Rivertown Film joins ROSA (Rockland Organized for Sustainability and a Safe Aquifer) to help bring Wild & Scenic to our region. We are showing award-winning films about sustainability and the preservation of the great outdoors at the Wild & Scenic Film Festival. Film titles will be announced soon. Doors open at 12:00 noon. The mighty Wurlitzer organ plays until 12:30. 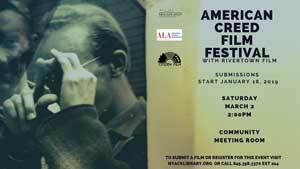 Film program runs from 1:00 to 3:30 PM. General Admission: $20 online in advance, $18 from ticket selling locations, $22 at the door.